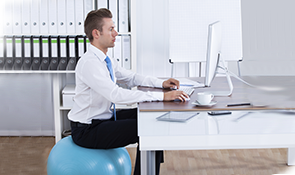 Ergonomics and technology are encouraged and supported to let us move, be healthy, and do our jobs better. Working healthy is a priority of the UM System Culture of Health. Go to our easy action steps for working healthy. Stand, stretch, move, adjust. Follow these tips to maintain and increase your healthy habits. Learn about office ergonomics to help create a work environment that minimizes your pain, discomfort, and risk of injury on the job. Use these apps for mobile devices and computers to help you move at work. Find discounts and resources in your city that can help you work healthy, including ergonomic assessment.